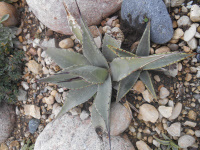 Rosette of thick silver-grey leaves with an inch-long terminal tip of each spine and offshoots, knowns as “pups” emerge near the base, even of young plants. Flowers only once & takes +10 years. In Z 5-6 plant in spring to get established. 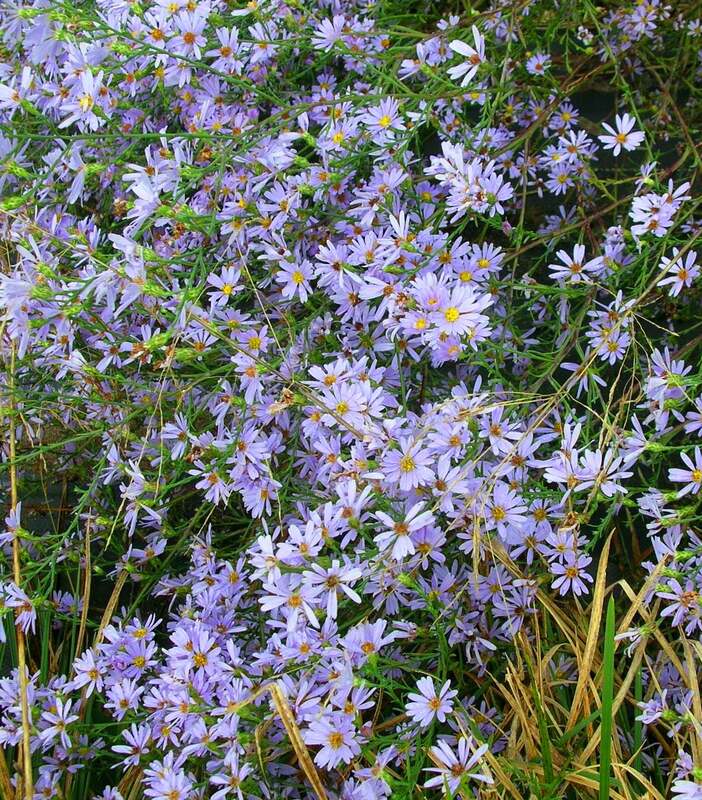 Care: sun in well-drained soil. 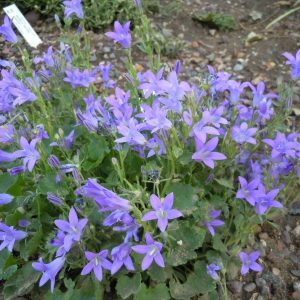 We grow this in Z 5A on the south-facing side of a mound of well-drained soil, with a few large rocks nearby and gravel mulch. 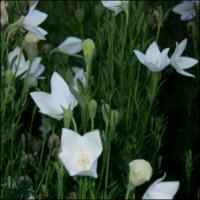 Native: mountains of Arizona and New Mexico. First Americans in the SW traded baked leaves and buds hundreds of years ago. Roasted stalks,baked buds & water mixed & fermented make pulque, further distilled to make mescal or tequila.